I have just spent an enjoyable hour perusing your website and reading the interesting accounts of life in the 1950s in Tilbury. It is a wonderful site. 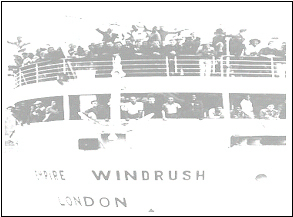 I am currently writing a novel which is set in 1948, and focuses on the arrival of the SS Empire Windrush in Tilbury in June 1948. The main character of the story is a local called Daisy whose father worked at the docks. Her life is turned upside down when she watches the ship arrive and becomes involved with one of the immigrants. I would be very interested in talking to anyone who lived in Tilbury in 1948 and watched the ship arrive. 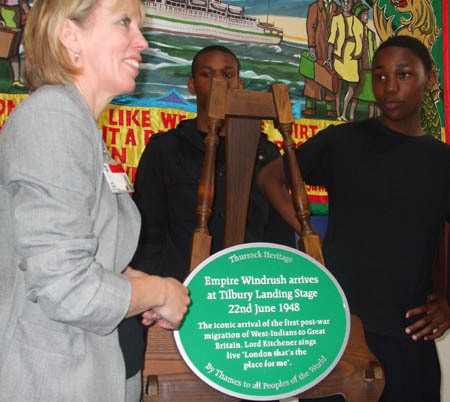 I would like to hear firsthand what life was like in 1948 and how the locals reacted to the arrival of the Jamaican immigrants. I would also like to hear accounts about every day life in the town and life after the war. Did any of the immigrants settle in Tilbury itself? My late step father was one of the passengers of the empire windrush, Docked at tilbury docks , Sadly passed away now , But he had a great many years here from jamaica.